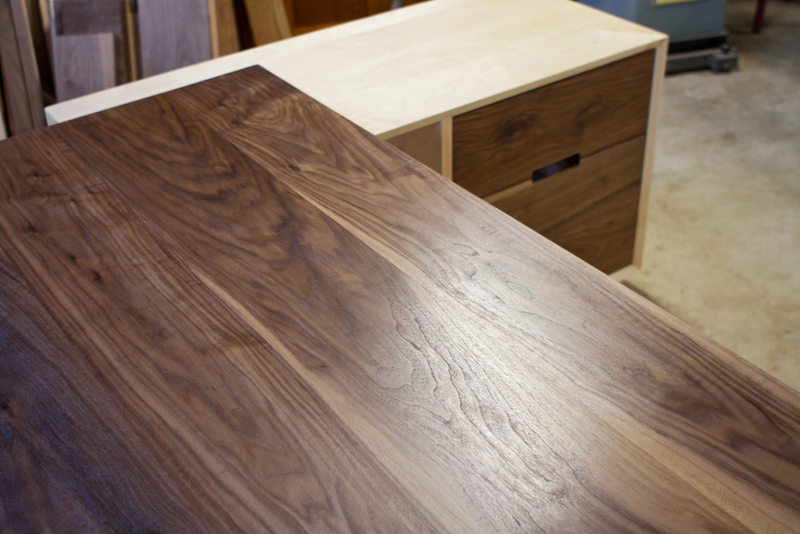 Taking attributes from my coffee table of the same name, the Cantilever Desk features a walnut top and maple base accompanied by a walnut and maple cabinet and drawers. 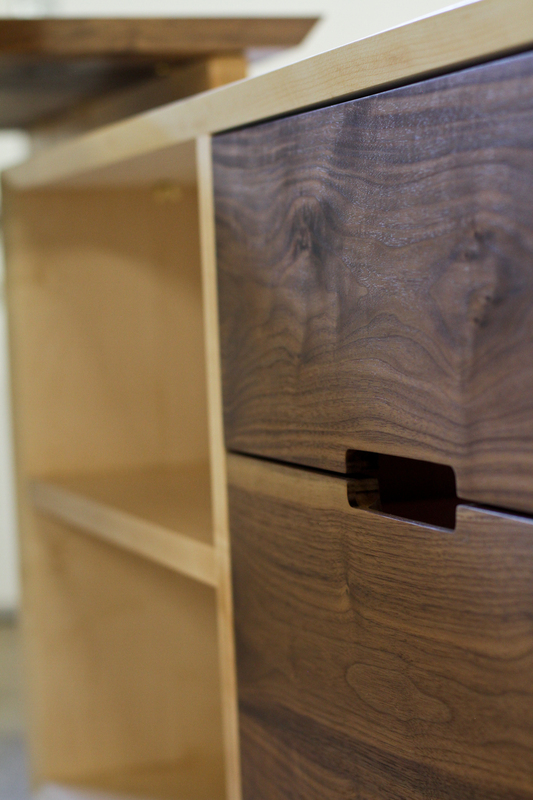 The maple base is constructed with sliding dovetail joinery to create a strong joint for the strikingly long cantilevered walnut top, while natural grain pattern and hints of the materials previous life are highlighted throughout the piece. The Cantilever Desk is a perfect example of when form meets function.